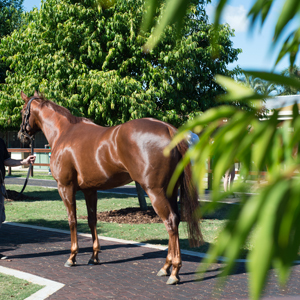 In 2012 Magic Millions proudly introduced a world first for women. 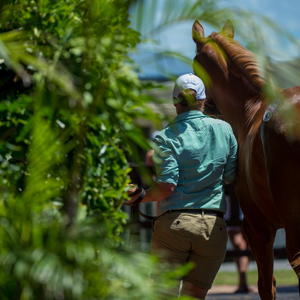 Now approaching its eighth year, the ground-breaking Magic Millions Racing Women initiative is not only promoting racehorse ownership amongst females – it is increasing it. Established by Magic Millions owners Katie Page-Harvey and Gerry Harvey, the Racing Women’s Bonus of $500,000 which is on offer to the first four all-female owned or leased horses in finishing order in the Magic Millions 2YO Classic, is in addition to race prizemoney of $2,000,000. A key aim of the initiative is to highlight and promote the important roles played by women in the thoroughbred racing and breeding industry. 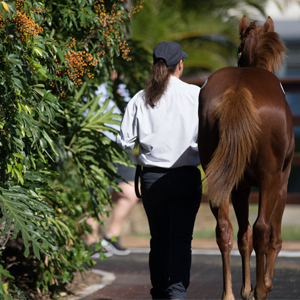 Whether you’re new into the horse-owning game or already a horse owner you could win BIG, just like the lucky female connections of Sunlight in 2018, who collected $1,525,000 for winning the Magic Millions 2YO Classic plus first place in the Racing Women’s Bonus. Incredibly this was the third time in the short history of the Racing Women’s Bonus, that the winner of the 2YO Classic was also a Racing Women’s Bonus eligible horse. Real Surreal created history when she won the 2013 edition of the Magic Millions 2YO Classic and was the inaugural Racing Women’s Bonus winner for her all female connections. In 2015, Le Chef also achieved first place in the race and the Racing Women’s Bonus. 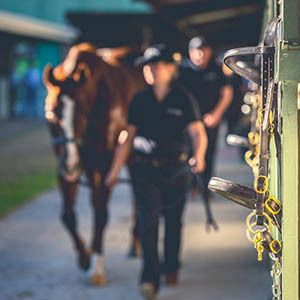 For entrants into the $2,000,000 The Star Gold Coast Magic Millions 2YO Classic in 2020, a $500,000 bonus will be distributed to the connections of the first four ‘all female owned or leased horses’ in finishing order. 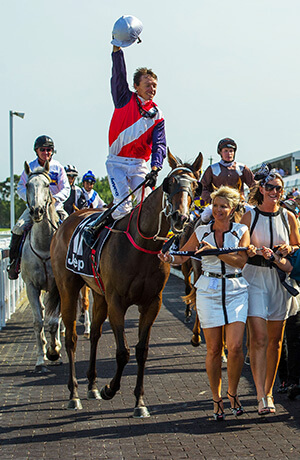 The horse must be an eligible Magic Millions Yearling Sale graduate and be nominated for the Magic Millions Race Series as the Bonus forms part of the Magic Millions Race Series for 2019 Yearling Sale graduates. Please view the Racing Women’s Bonus registration for further detailed conditions. To be eligible, the horse must race in 100% female ownership (or lease) at all times prior to and including The Star Magic Millions 2YO Classic. The ownership (or lease) must remain unchanged from the two-year-old’s first official race start until the time the Bonus is awarded. Payment of the $500,000 is guaranteed. 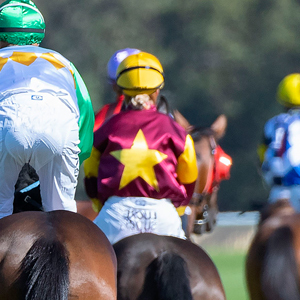 Should less than four Bonus eligible horses make the starting field, the portion of the Bonus not won will be distributed evenly amongst the eligible horses who complete the race. In 2019, Magic Millions & Tasracing are also proud to be offering a $10,000 Racing Women’s Bonus to the first all female owned (or leased) horse in finishing order in the 2019 Magic Millions Tasmania 2YO Classic. For further information on the Bonus in Tasmania, please visit our Launceston racedays page. 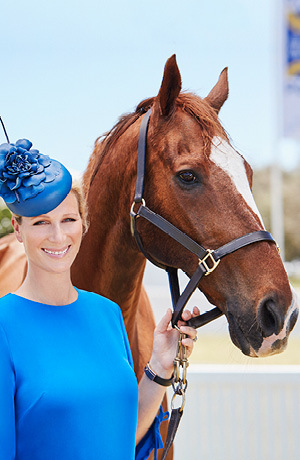 In 2012 Zara Phillips MBE was announced as the inaugural Magic Millions Racing Women Ambassador and attended the 2013 Carnival to present the prize to the connections of Magic Millions’ first Racing Women’s Bonus winner in Real Surreal. The second-eldest grandchild of Queen Elizabeth II, Zara won a silver medal at the 2012 London Olympics as a member of the Great Britain Eventing Team. Since 2015 Zara has returned each year as the Patron of Magic Millions Racing Women, and in conjunction with Katie Page-Harvey, has proudly made the presentation to the Racing Women’s Bonus winners at the 2015, 2016 and 2017 Magic Millions Racedays. Zara Phillips was born on 15 May 1981 in London and is the only daughter of Princess Anne, the Princess Royal and her first husband, Captain Mark Phillips. Following a successful career in young riders, which included victory in the Under 25 Championship at Bramham and an individual silver medal in the European Young Riders Championship in 2002, Zara really established herself at senior level in 2003 by finishing second at Burghley three day event with Toytown. A polished display in the dressage arena and a fast and clear cross country round gave her the lead going in to the show jumping and although one fence down dropped her to second behind the Rolex Grand Slam champion Pippa Funnell, it was still a remarkable display from the then 22 year old in her first attempt at four-star level. Following that performance, Zara was long listed for Athens in 2004 but her hopes of emulating her parents by competing with the British event team at an Olympic Games were dashed by an injury to Toytown that ruled him out for the rest of the year. In June 2005, Zara put that disappointment behind her with a great performance at the newly upgraded four star event in Luhmuhlen. She finished on her dressage score to take second place with Toytown and earn selection, originally as an individual, for the European Championships at Blenheim in September. Following the withdrawal of Primmore’s Pride, Zara replaced Pippa Funnell on the British team for Blenheim. Showing composure beyond her years, Zara rode into history by taking two gold medals on her senior debut (individual and team), exceeding the achievement of her mother, who won the individual title at the European Championships in 1971. In 2006, Zara achieved her greatest result to date by winning Individual Gold and Team Silver at the World Equestrian Games, Aachen 2006 where she rode Toytown. Following her gold medal at the World Equestrian Games Zara was awarded the 2006 BBC Sports Personality of the year. Zara was selected for the 2008 Beijing Olympics with Toytown. However it was not to be, for the second time Zara was denied the chance to compete at the Games through an injury to Toytown. At the end of the year this was followed by her own injury when she fell from her horse whilst competing and broke her collarbone. Following her injury and the disappointment of losing her place in 2008 Olympic team, Zara trained hard with her stable of horses, firmly setting her sights on reaching the 2012 Olympic Games. In 2012, Zara had a fantastic start to the season winning at Tweseldown and securing six top five finishes at Gatcombe, Burnham and Bramham. In June she was announced as a member of the British Equestrian Team for the London 2012 Olympics Games, joining riders William Fox-Pitt, Mary King, Tina Cook and Nicola Wilson. Despite being the youngest rider on the team, Zara showed great strength under enormous pressure with a solid dressage display and a flawless performance in the cross country round. With strong showings from Zara and her fellow riders in the final show jumping round, the team rose to the occasion winning a well-earned silver medal.